Many drivers mistakenly believe that they are less likely to be arrested for a DUI offense during a holiday event, as there may be less officers working. However, the opposite is true and law enforcement agencies in the Los Angeles area recognize that there is a sharp increase in DUI offenses during holidays and actually increase enforcement efforts during these time periods. 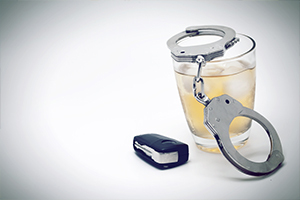 There is a sharp increase in the amount of DUI offenses occurring in the Los Angeles area during holidays. Many people come to the area on vacation or otherwise have time off from work and can attend parties or go out with friends. Drinking increases and there is a subsequent increase in the number of DUI drivers on Los Angeles area roads. There is a corresponding increase in DUI traffic collisions and law enforcement agencies have stepped up enforcement efforts during holidays, including Thanksgiving, New Years, Fourth of July, Memorial Day and Labor Day. During holidays and weekends, law enforcement agencies will often employ DUI saturation patrols. Saturation patrols involve assigning a large number of officers and patrol vehicles to a specific geographic location, typically one that has experienced a high number of DUI offenses. These saturation patrols do not use roadblocks, however there are more officers looking for illegal driving conduct and looking to catch DUI offenders in a short amount of time. These saturation patrols often yield a high number of DUI arrests and also have the effect of deterring people from driving while under the influence of drugs or alcohol. During holiday weekends, law enforcement agencies will typically conduct DUI checkpoint operations. DUI checkpoints allow officers to stop all vehicles passing through a predetermined and manned checkpoint and briefly detain and investigate all drivers for DUI. These operations have been allowed by the California Supreme Court as long as they comply with specific legal requirements, such as the requirement that the checkpoint operation be publicized in advance, that it be clearly marked, that senior officers be present and that there is a predetermined rationale for stopping vehicles. If the checkpoint does not comply with the guidelines set forth by the California Supreme Court, all resulting arrests may be invalidated. Officers working DUI saturation patrols during holidays may be looking for any reason to pull over drivers. If the officer does not have reasonable or probable cause to stop the driver’s vehicle, the defendant may be able to challenge the vehicle stop by filing a motion to suppress pursuant to California Penal Code Section 1538.5 PC. If granted all resulting DUI evidence would be suppressed and the case would likely be dismissed as the prosecutor would be unable to move forward. In addition, officers may see an increase in DUI arrests and may not give each DUI investigation the full attention it may deserve. Mistakes may be made that could prove fatal to the prosecution’s case. These mistakes may be evident when reviewing the incident reports or the officer’s body camera or dash camera recordings. Having an experienced DUI attorney who understands DUI protocol and what potential mistakes were made can often be critical when fighting a DUI charge. If you or someone you know have been arrested for or charged with DUI in the Los Angeles area, it is crucial that you discuss your case with a knowledgeable DUI lawyer as soon as possible. As a former Deputy District Attorney with over 14 years of prosecutorial experience, Michael Kraut understands how to effectively defend clients charged with DUI offenses and works hard to ensure his clients receive the best defense possible. For more information about Los Angeles DUI holiday enforcement, and to schedule your free consultation, contact Michael Kraut at the Kraut Law Group located at 6255 Sunset Boulevard, Suite 1480, Los Angeles, CA 90028. Mr. Kraut can be reached 24/7 at 888-334-6344 or 323-464-6453. Can an Officer Take My License and Issue a Notice of Suspension? What DUI Driving Patterns do Officers Look for?